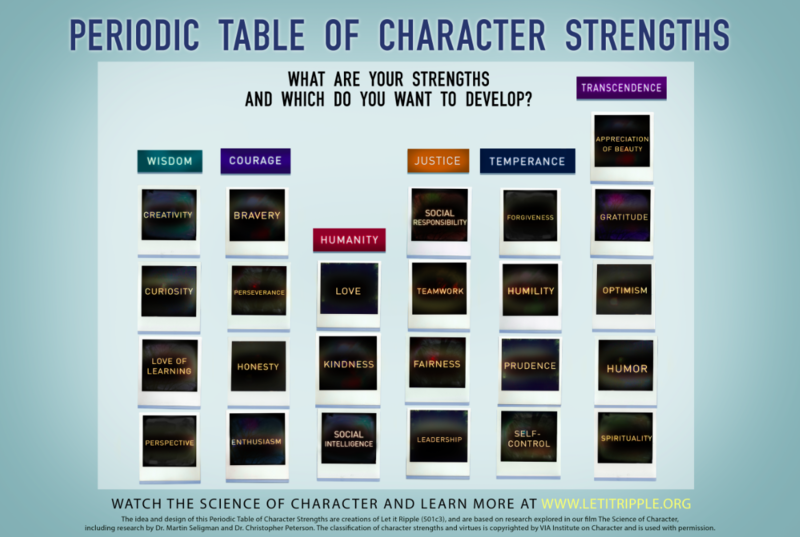 Includes poster of The Periodic Table of Character Strengths (download poster). 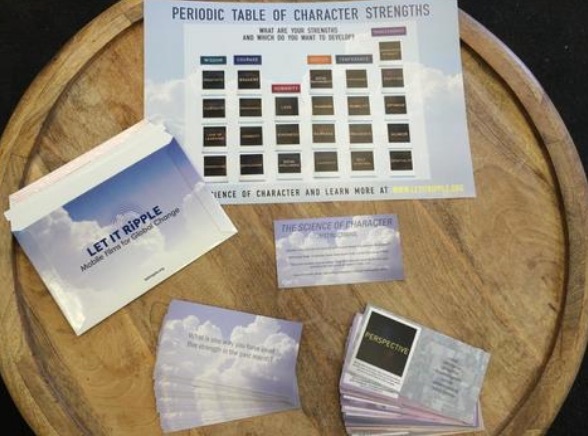 Includes deck of 44 conversation cards, which includes: one instruction card, 24 strength cards, 12 question cards, three quote cards, and discussion guide questions for different ages (download deck). 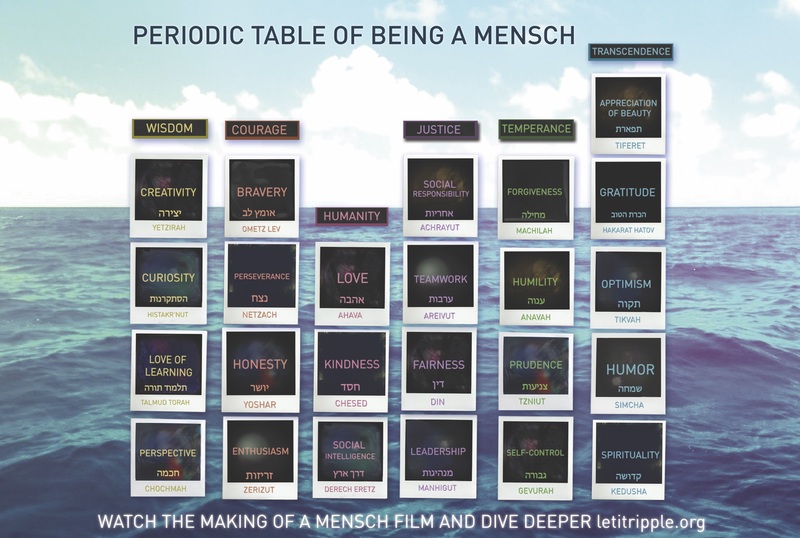 The Periodic Table Of Being a Mensch Poster (Download here). We will again be offering the ability to order free printed kits again in the summer/fall of 2018. Sign up for Character Day and we will alert you when they are ready to be ordered.